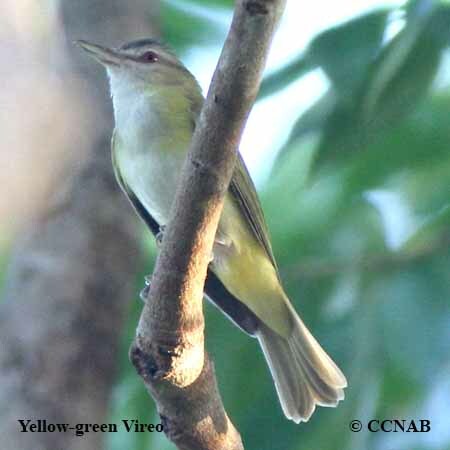 Species: The Yellow-green Vireo (Vireo flavoviridis) is a tropical vireo seen in Mexico and the Central and South America countries. 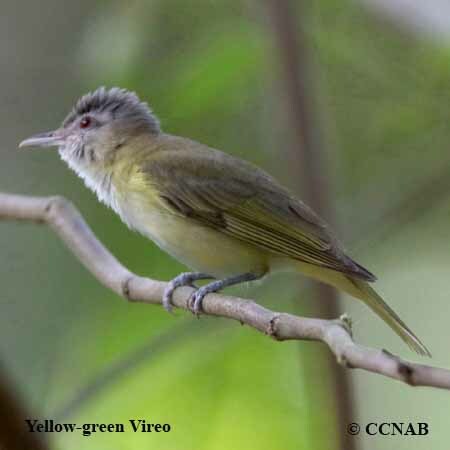 Was once considered a race of the Red-eyed Vireo but has been separated for a number of years. Typically seen, every year in small numbers, along the Rio Grande in southeastern Texas. Prefers open forest, woodland edges, seen most often in the upper portion of mature trees. Distinctions: The male and female are very similar looking in appearance. Has large bill with a visible hook at end of upper bill, same identifying features seen in other vireos. 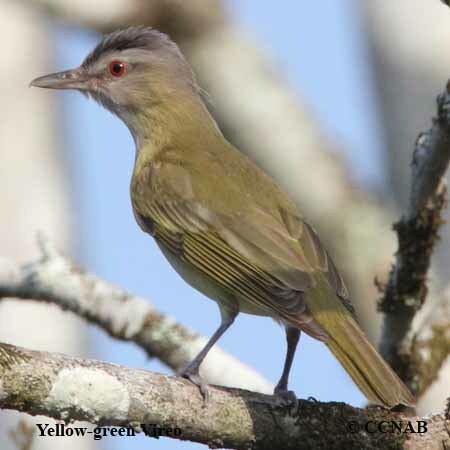 Quite similar to the Red-eyed Vireo, larger bill, but with less defined facial markings, red iris, yellow under the tail, flanks, off-white breast and throat, greenish-yellow back and tail. 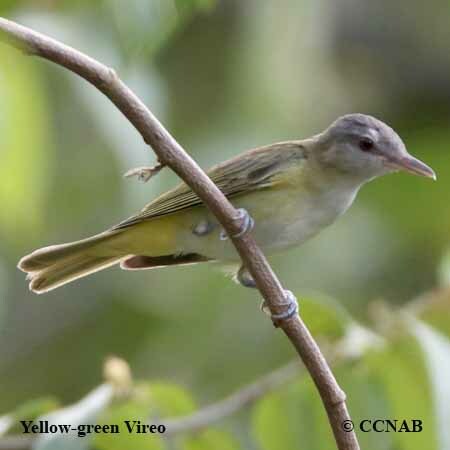 Voice: Nasal sounding, similar sounds to other vireo types, multiple call notes, similar to the Red-eyed Vireo. Prefers staying high in tree when singing and in its search for insects. 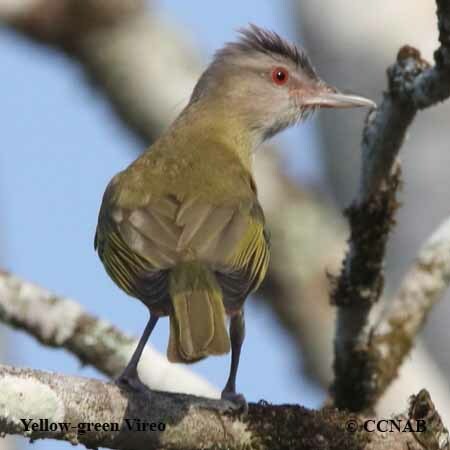 Distribution: Mainly a bird seen in the southern regions of Mexico, Central America, and the northern regions of South America. Considered a vagrant, when seen north of the Rio Grande. There is a possibility that it is nesting in Texas. The states of Florida, Texas, New Mexico, Arizona and California report seing this bird.